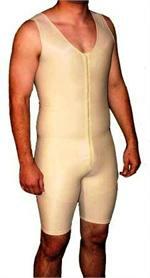 The men’s full body contouring suit offers complete, comfortable post-surgical compression. Exceptional body sculpting and shaping garment. Invisible under clothing.